Welcome to Bath & Turtle / Chez Bamboo! 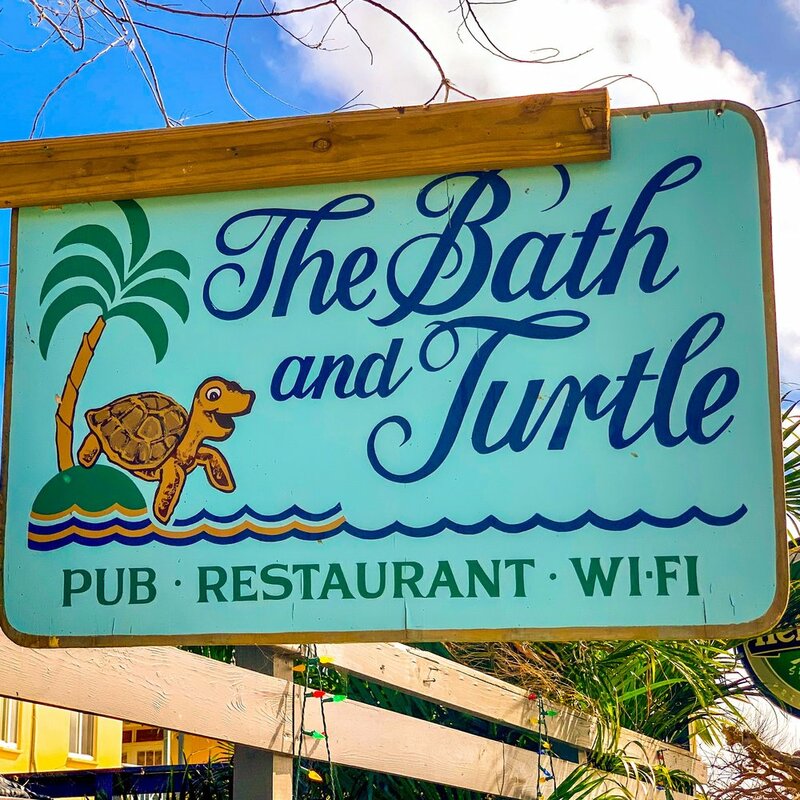 Bath and Turtle moved down the street from its original location at the Yacht Harbor in 2017, combining the best of 2 island favorites. Bath & Turtle / Chez Bamboo offer different menus fused in the same charming location. Among other options, the menus feature sandwiches, wraps, burgers, pizzas, and sushi, including influences from both: Asian and Caribbean cuisines. You will fall in love with the restaurant's decor, soothing water fountains, luscious tropical plants, shimmering lights, bamboo walls, romantic corners and colorful accents. Come join a perfect Caribbean atmosphere in the heart of Spanish Town, Virgin Gorda. Nestled in a tropical garden area, the plants, orchids and fountains are so beautiful and captivating that you will want to spend hours in this little piece of paradise. The cool breeze and shade surround you while you enjoy your breakfast, lunch or dinner. 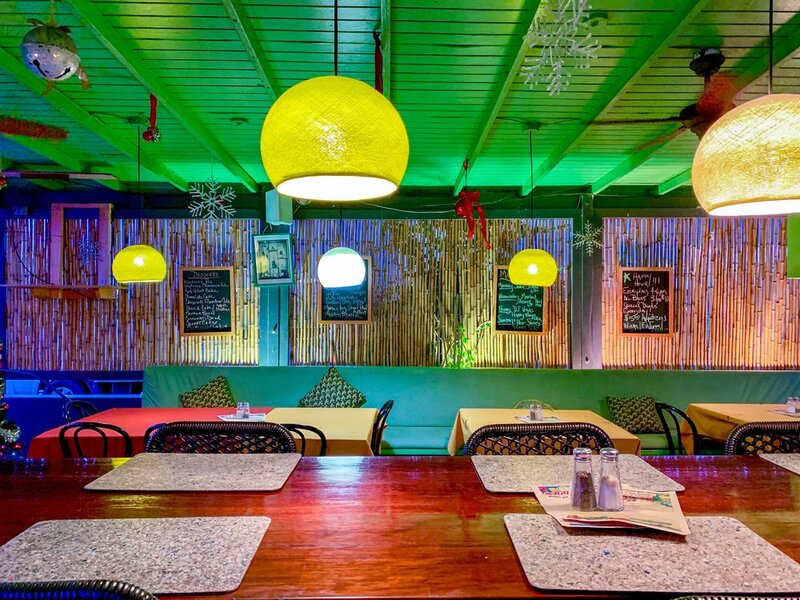 Caribbean and 90’s music sets the tone for a fun and funky time at this restaurant. The ambiance at Chez Bamboo is bright and the decor is one of a kind. 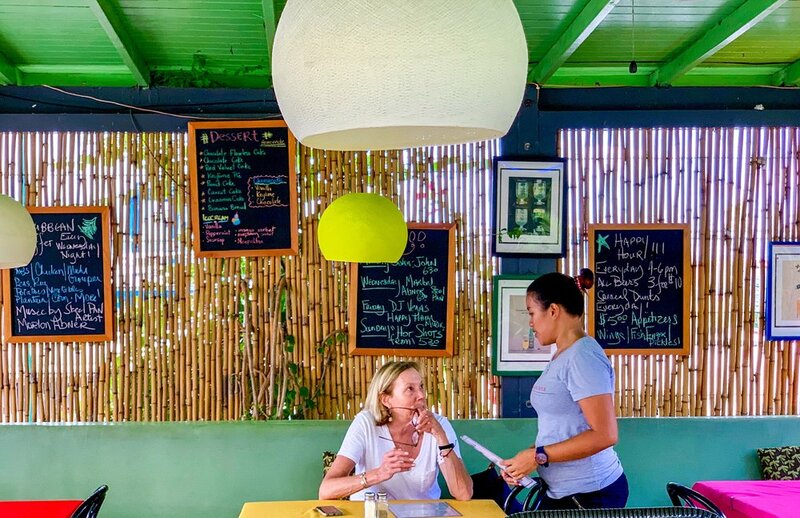 While each table is elegantly set with fine linens, the walls are decorated in bright colors, twinkling lights and striking murals as well as neon lit palm trees.